Envirosafe Ireland provide tray drying technology that has been carefully developed with efficiency, ergonomics and safety in mind. Tray dryers can operate in downflow booths and clean rooms or in conjunction with containment isolators. A number of great design features have been incorporated into our tray dryer designs for ease of use and operator and product protection. 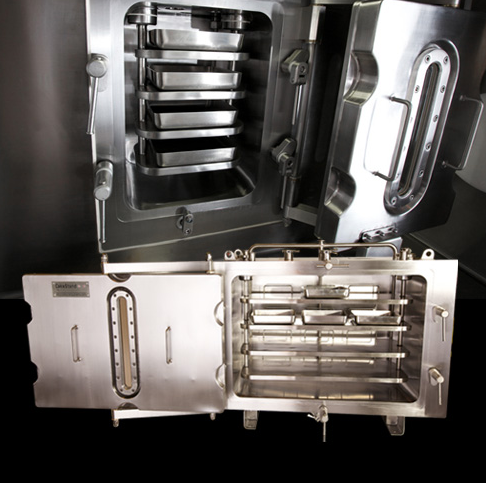 Tray dryers are designed from laboratory to production scaleand can meet sterile process requirements when necessary for drying highly toxic or sensitive products. Tray Dryers can be free standing or contained within a Isolator.